More dance! As a follow-up of my last post, I got several tips about the phenomenon I now know by the name of site-specific dance. This example is a particularly lovely one, which a dancer (Thanks, Karin!) tiped me of. The performers from Project Bandaloop, suspended in ropes, are using the context of an old stone and terracotta facade as a means to create a new and interesting interaction between body and architcture. The variation between windows and walls become variations in movements, with jumping and landing movements enhanced by the slow speed allowed by the suspension, leading me to speculate about toher ways architects could encourage diffent ways of moving. 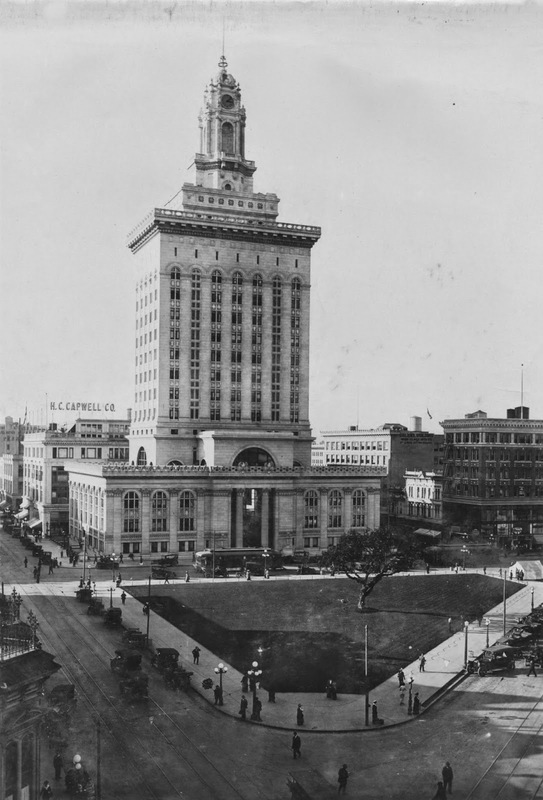 "Oakland City Hall 1917" by Oakland Chamber of Commerce, Publicity Bureau - http://imgzoom.cdlib.org/Fullscreen.ics?ark=ark:/13030/kt7199q9d0/z73. Licensed under Public domain via Wikimedia Commons. The building is Oakland City Hall, designed in the Beaux-Arts style by architects Palmer and Hornbostel and completed in 1914. A steel-frame building, it was damaged in an earthquake in 1989, but had its foundations redesigned to withstand new earthquakes. Lovely, simple music by William Ryan Fritch.